Grants. Prizes. Celebrating LLC's accomplishments. LLC founder and CEO Wilhelm Meya recieving the Ken Hale Prize for the Consortium's work. In 2006, LLC took home the Ken Hale Prize. Below is an article on the event from the Herald-Times of Bloomington, Indiana - LLC's base of operations. BLOOMINGTON, Ind. 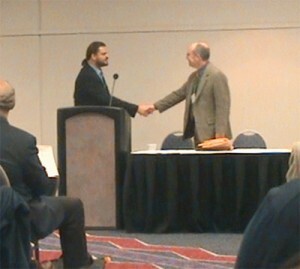 - The Lakota Language Consortium (LLC), a nonprofit organization dedicated to saving the Lakota Sioux language, was awarded the prestigious Ken Hale Prize by the Society for the Study of the Indigenous Languages of the Americas (SSILA) last Saturday, January 7th at the Linguistic Society of America meeting in Albuquerque. The prize and cash award were presented in recognition of the organization's outstanding community language work and deep commitment to the documentation, maintenance, promotion, and revitalization of the Lakota languag- one the country's largest remaining Native American languages. In June 2009, the Lakota Language Consortium’s (LLC) New Lakota Dictionary received the Bronze medal in the “Reference” category of the 13th Annual Independent Publishers Book Awards (IPPY) competition. The competition, hosted by the Independent Book Publishers Association, recognizes excellence in independent publishing. “This is great news,” said Wil Meya, Executive Director of the LLC. “There were more than 3,380 entrees in 65 National categories overall and to receive the 2009 IPPY award is certainly an honor. It reflects well on the quality of the Dictionary and the hard work by the editor and all the contributor.” Other presses honored included Yale University Press which led the medal count with five, and Indiana University Press and Kent State University Press followed with four and three medals. “This was the first book I pulled out of the box for review. My immediate reaction was one of appreciation, as I’ve been asked for a Lakota dictionary at the reference desk.” “Also, having recently spent time watching / reviewing Bury My Heart at Wounded Knee, and recently returning from a trip to South Dakota, I have a re-heightened awareness of the importance of maintaining native language and culture and of resources that document these. " “The addition of the grammar usage section to the dictionary makes this resource even more invaluable. This resources is a must have for linguistics programs, libraries, as well as for larger public libraries and Native American culture museum libraries. Thank you for this resource. " The New Lakota Dictionary represents a major step in standardizing Lakota writing and provides Lakota-English / English Lakota sections and incorporates the Dakota dialects of Yankton-Yanktonai & Santee-Sisseton. The Dictionary contains 20,000 definitions, including over 6,000 words that have never appeared in a dictionary, and a 90-page section on grammar. The 3,000 “most important” words are highlighted. Over 300 native speakers served as consultants to ensure that the bonds between language and culture come alive in the New Lakota Dictionary’s 43,000 example sentences and collocations. You can learn more about the dictionary at the LLC store. 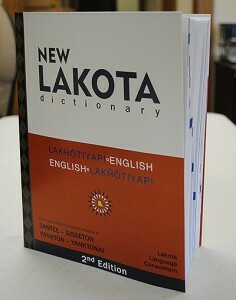 The publication of the first edition of the New Lakota Dictionary in 2008 was an historic event for the tribe and for LLC. Read about the celebration for NLD contributor's in the Lakota Country Times. RAPID CITY - "Wow", said Johnson Holy Rock, an elder, past tribal president and contributor to the New Lakota Dictionary, "it is finally done, it is here, fantastic." After more than 20 years of work and the contributions of over 300 Lakota and Dakota speakers, the New Lakota Dictionary has been published and is being distributed throughout Lakota country and beyond. As a formal book release and for the many people who contributed, who read and proof read and offered valuable insight into a new dictionary, there will be a reception for them and open to the public at Prairie Edge in Rapid City, Friday, July 18 at 3 p.m..
"The new Lakota Dictionary is a breakthrough in contemporary Native American language studies," said Bill Powers, author of Sacred Language: The Nature of Supernatural Discourse in Lakota, "this publication revolutionizes what we understand about the historical development of Lakota and Dakota dialects while clarifying many problems found in earlier lexical works; this is much needed and innovative." The 1,112 page book features a 90 page Lakota grammar section, background material on the Lakota language and history of Lakota lexicography and includes 20,000 words with over 40,000 example sentences, usage notes and collocations with special marks denoting the 1,000 most important and most used Lakota words and the next 2,000 important and used words. The book is actually published by the Lakota Language Consortium, a non profit located in Indiana and dedicated to the re-vitalization of the Lakota language through the publication of educational materials, teacher training and other educational services. A number of nonprofits and tribal entities helped pay for the actual printing. It is available at Prairie Edge in Rapid City, any national bookseller, wholesale from Baker and Taylor or online at www.lakhota.org. The New Lakota Dictionary had its beginning back in the 1800s and has used all of the publications that have been published in the 19th and 20th centuries as a resource; Jan Ullrich started gathering words and expressions in the mid 1980's and started entering both those words and the historical publications into a data base. Jan lived with families in Indian Country in 1992 and 1993 working with Native speakers to check data and add new material. Missionary brothers Samuel and Gideon Pond were the first to give the Dakota dialect written form as they translated biblical texts into Dakota in the 1830s. Stephen Riggs and Dr. Thomas Williamson later followed up on their work with Grammar and Dictionary of the Dakota Language in 1852. An expanded version of the dictionary was published in 1892 as Dakota-English Dictionary. John P. Williamson, Williamson's son, published an English-Dakota Dictionary. In 1904, Rev. E.D. Perrig completed a typescript "An English-Lakota Dictionary. Playing a major role in the history and development Lakota linguistics and lexicography, Ella Deloria, in collaboration with Franz Boas, published Grammar of the Lakota in 1941 and her work provided the foundation of Rood and Taylor's educational materials out of the University of Colorado. Fr. Eugene Buechel spent most of his life from 1902 to 1954 on Pine Ridge and Rosebud reservations learning the language and gathering words and meanings, as many as 24,000. He passed away in 1954 and Fr. Paul Manhart published Buechel's work in 1970 as A Dictionary of the Teton Dakota Sioux language. Buechel had published a Bible History in the Language of the Sioux Teton Indians in 1924. "Rudy Fire Thunder in 1992 and John Around Him in 1993 helped provide word meanings and example sentences and broader contexts for the word usage," said Ullrich, "over the years so many people helped with the dictionary, probably over 300 speakers." According to Ullrich, some of the contributors who helped preserve the language for generations to come included Calvin Jumping Bull, Johnson Holy Rock, Ben Black Bear Jr., Delores Taken Alive, Darlene Last Horse, Wilmer Mesteth, Kayo Bad Heart Bull, David West, Etta Little Thunder, Mel and Everett Lone Hill, Stanley and Arvol Looking Horse and Robert Two Crow. Last month a summer language institute was held in Ft. Yates at Sitting Bull College for Lakota language teachers. Some of the comments made by the students included, "The standardization of the writing of Lakota words is absolutely critical to the revival, survival and maintenance of a language such as Lakota; both teachers, students and the public can benefit from this Lakota dictionary. Although I am a fluent speaker, I feel I do not know everything I should about the language before our elders leave us; the dictionary holds much wisdom from our elders; there is a wealth of information in the dictionary to learn about and to teach our students. It is a valuable teaching tool and I hope that it will be made available to all of the Oyate who truly want to learn this beautiful language." There are still so many questions swirling around the language, how do we build a national language? What is the best way to teach the language? What is the best orthography? Are second language learners in the best position to teach the language? How is it that it is two non-Indians coordinating the project? What is the best way to get the next generation to take ownership of the language? "Using Lakota honors the memory of our ancestors and if we hold onto our language, we will know who we are and we will know where we are going in the future," said Johnson Holy Rock, Ben Black Bear Jr, and Delores Taken Alive in the opening words of the new dictionary, "with this dictionary the next generation can carry the language on, we know that our children and grandchildren can learn Lakota language from it-if you are proud to be Lakota, you should also be proud to speak the language and learn it properly. With this dictionary, we have come full circle and where we can once again stand as a people." In 2007-2008, LLC recieved a large grant from the Grotto Foundation, a non-profit that is dedicated to increasing public understanding of American cultural heritage, the cultures of nations, and the individual’s responsibility to fellow human beings. The grant was used to fund the publication and distribution of the New Lakota-Dakota Dictionary in 2008. We are pleased to announce a grant of $15,000 from the Grotto Foundation to support the publication of the New Lakota-Dakota Dictionary. This 1,000 page volume will be available in early 2008 and will cost less than $50. The Grotto grant will fund part of the final stage production and printing costs and allow 500 free copies to be distributed to schools and educators throughout the area. The Grotto Foundation and LLC are excited about the prospect of the Dictionary bridging the speech communities in South Dakota, Minnesota and North Dakota by representing all of the Lakota-Dakota dialects. The goal is to allow a Dakota language user in Minnesota, for example, to use the Dictionary to find Yankton-Dakota or Santee Dakota words while also learning their Lakota equivalents, or a person in South Dakota could use the Dictionary to find out both the English and Dakota versions of a word, giving the entire speech community an opportunity to become proficient in both Dakota and Lakota equivalents. The Grotto Foundation believes the Dictionary will form the foundation for Lakota and Dakota language revitalization for many years to come, giving users access to and encouraging creation of new literary products and publications that will expand the accuracy of literature available in the languages. Using such a reference book should also spawn the production of new materials such as books, web pages, and email communications. Together with LLC’s new font and keyboard software, the Dictionary will thus provide a powerful tool for use of the language and exchange of ideas, a key step in creating a true national language into the 21st century. The Grotto foundation will also be hosting a book release celebration in Minneapolis in early 2008. We will keep everyone posted on details of this event. We are deeply grateful for this support, and look forward to working in an integrated manner with work being done by the Grotto foundation. Because of the high publication costs of the dictionary, other foundations will be supporting the project, and training for use of Dictionary will be conducted in 2008. In 2006, LLC worked in conjunction with the University of Colorado Department of Linguistics to secure funding for studies in Lakota. Through a recent NSF grant, the University of Colorado Department of Linguistics will be offering full support to three Lakota speakers for three years each, starting in the Fall of 2007. The support will enable prospective applicants to study for the Master of Arts in Linguistics and to undertake the video documentation of everyday Lakota conversation. The project hopes candidates will find careers supporting efforts to keep Lakota alive. The project is led by Prof. David S. Rood and has associated support from the Lakota Language Consortium. Language revitalization programs depend crucially on the existence of materials that document the language in everyday interactions and on there being dedicated and capable leaders who can inspire the community to use these materials. By training native speakers to be researchers, this project will prepare highly qualified people to undertake these leadership roles. In 2010, LLC is proudly announced a major turning point in Lakota language education, funding for the Lakota Language Education Action Program (LLEAP). 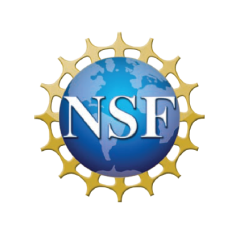 In October, the Lakota Language Education Action Program (LLEAP) received two grants from the U.S. Department of Education, funding two new undergraduate degree programs in Lakota Language Teaching and Learning – one at Sitting Bull College Education Department (Standing Rock, Fort Yates, ND), and the other at the University of South Dakota School of Education (Vermillion, SD). In 2008, LLC won an Independent Publishers award for the New Lakota Dictionary.